The cutlery was originally designed for the SAS Royal Hotel in Copenhagen. When it was published in 1957, it was very controversial. The clean lines combine with the craftsmanship to form a shape which is comfortable in the hand. The slim shape and the concise contour by Arne Jacobsen made the model a classic. The cutlery Arne Jacobsen was shown in Stanley Kubrik's 2001: A Space Odyssey and other futuristic films. It has developed into one of the best known Georg Jensen cutlery over the years. 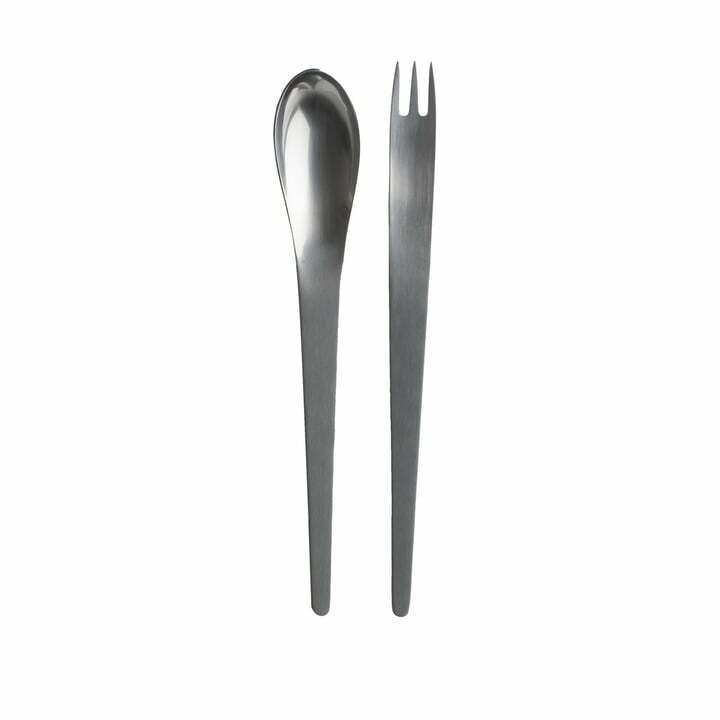 The Arne Jacobsen serving cutlery is made of matt, stainless steel.